Last Minute Special $75 for travel tomorrow only. 6 Spots only. Discount applied at checkout. We only work with high quality, experienced and reliable tour operators. You will receive information about the operator of this tour in a confirmation email once you have completed your reservation. The Blue Mountains are an essential day trip if you are visiting Sydney. Join us on our Blue Mountains Tour as we head to see the iconic Three Sisters, Wentworth Falls and much more. We depart from Sydney and journey straight to the Blue Mountains, hoping to spot some of Australia’s unique wildlife along the way. 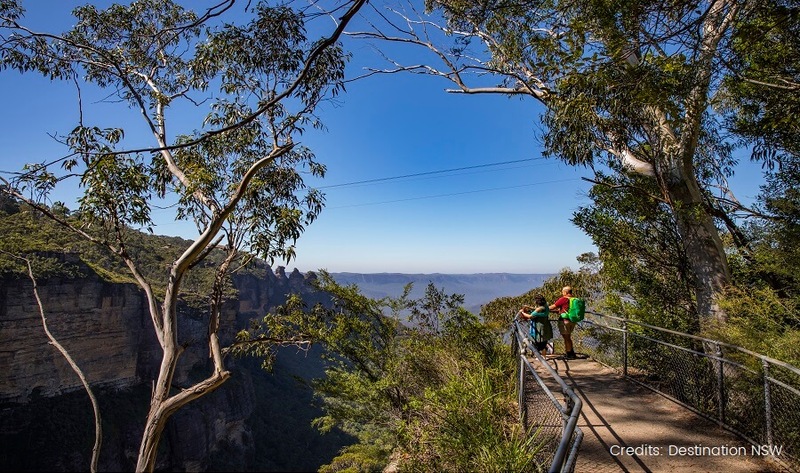 After a quick comfort stop in the lower Blue Mountains, we continue on to Kings Tableland or Evans Lookout for spectacular views of the Blue Mountains. 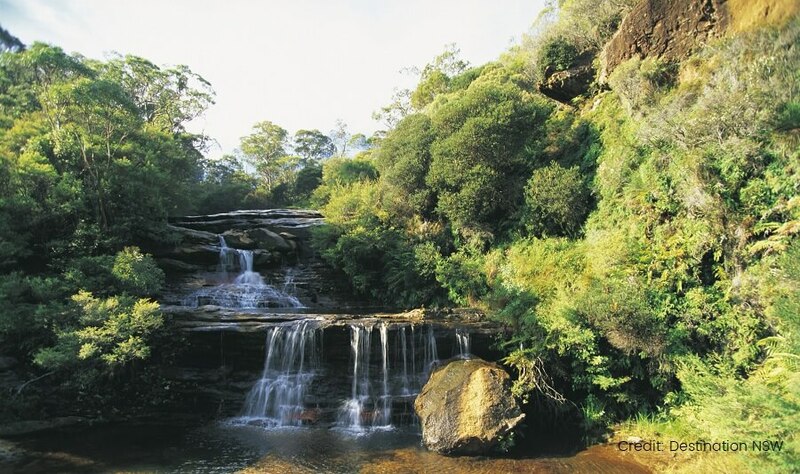 Next, it is on to Wentworth Falls, where we can enjoy a pleasant bushwalk to one of the most impressive lookout points in the Blue Mountains. For lunch, we arrive in the quaint country town of Leura, where you will have some free time to explore the picturesque village and its excellent shops. There are plenty of places to grab some lunch, with somewhere to cater for everyone. After lunch, it’s on to Katoomba – the centre of the Blue Mountains. 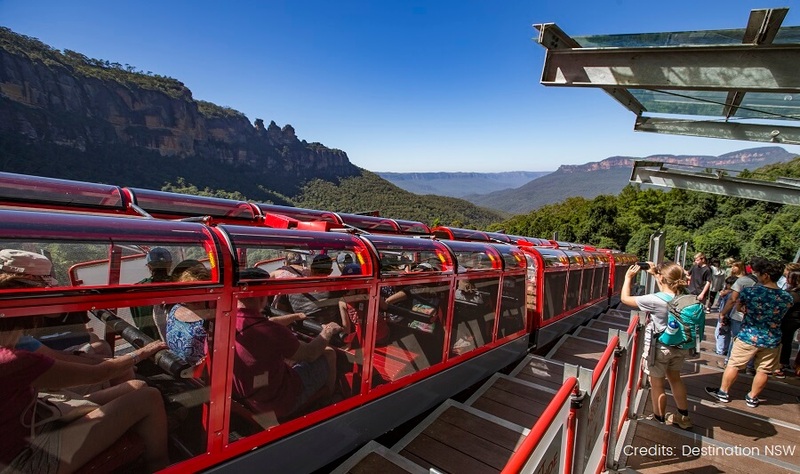 From here you can explore the highlights of the Blue Mountains Tour: The Three Sisters and Scenic World. Your guide will regale you with fascinating Aboriginal legends about the Three Sisters and their formation. Tickets to Scenic World can be purchased on the day, so you can enjoy all the features of this well-known attraction. Enjoy a unique perspective of the rainforest canopy through the glass floor of the Scenic Skyway as you glide between cliff tops. 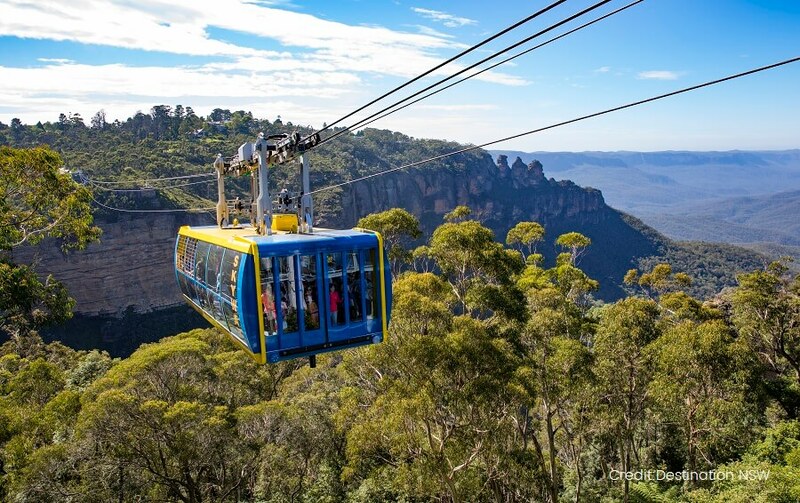 Jump in the Scenic Cableway for panoramic views of the World Heritage-listed Blue Mountains. Experience the thrill of the steepest passenger railway in the world on the Scenic Railway. Or enjoy a peaceful walk amongst the rainforest on the Scenic Walkway. We begin the journey back to Sydney via an Aboriginal Site where you will learn more about the indigenous population of the area. We will pass Olympic Park, home of the 2000 Olympic Games, before jumping on board the river cruise along the Parramatta River. Relax on board the river cruise as we avoid the traffic back the Circular Quay, where the Blue Mountains Tour ends. Hotel pick-ups are available from the designated location listed below. Please note: the times listed below are an approximate time of pick-up, the exact time will be shown on your confirmation email. SMALL GROUP TOUR - The Hunter Valley the oldest wine region in Australia. Spoilt yourself today and enjoy some of the finest wines available. 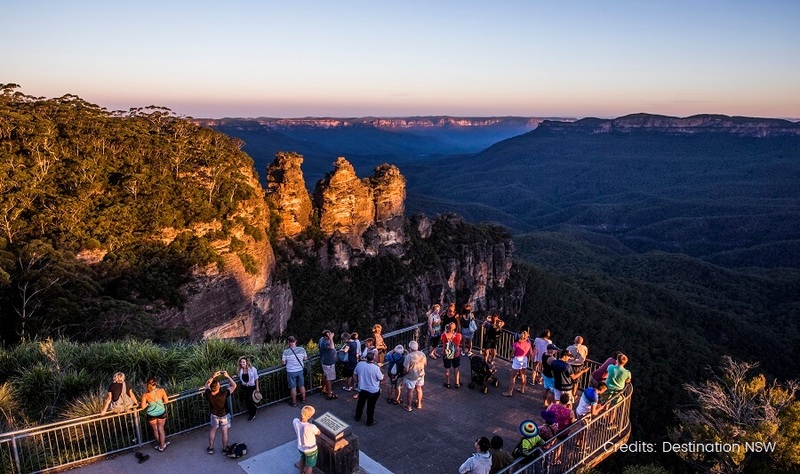 SMALL GROUP TOUR - This Blue Mountains day tour will leave you with an experience you will never forget.